The aim of the workshop was to gather actors in photonics together with actors in recycling and handling of metallic materials. One of the invited speakers was, Larz Ignberg from Triple Steelix. "Photonics as an enabler for advanced production and manufacturing of metals". Steel, Copper and photonics at Photonics 4 Recycling waste material and metals processing. Presentation of Triple Steelix and our PIMAP Partnership. Visits to SME's, Northvolt and Boliden, Rönnskär. Arranged by PhotonicSweden. The next workshop will be held in Borläng on April 11th. The PIMAP Partnership has been set up to support 4 clusters, their SMEs and regional ecosystem actors to ensure key enabling technologies (KETs) such as photonics including conventional but essential technologies such as laser and microwaves can be mobilised to support Smart Manufacturing and related industrial applications. This cross sectoral activity will help drive the industrial modernisation process in Europe and will provide a springboard for cluster SMEs to internationalise and support regional actions through the leverage of photonic technologies in key emerging industries. 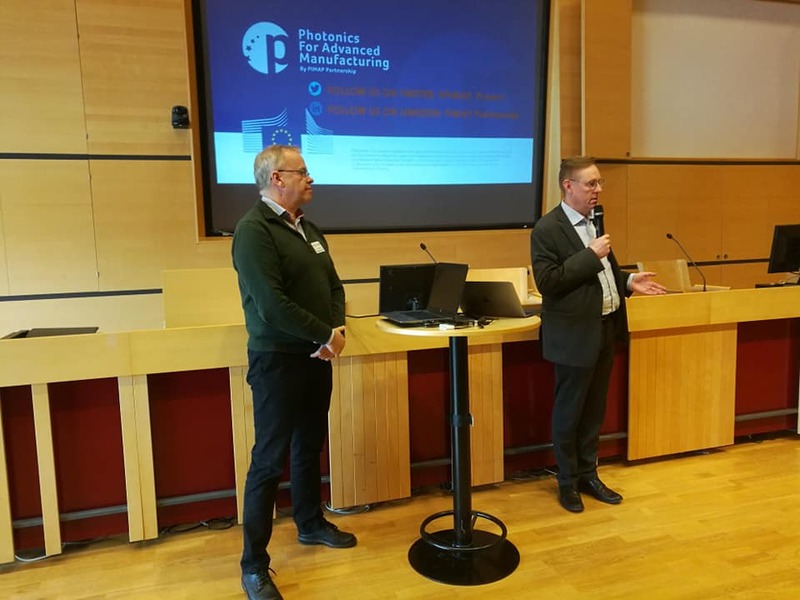 The inter-clustering actions will help match photonics/technology solutions with market applications to ensure cluster ecosystems linkages are strengthened. The concept will create synergies between cluster and SME policy support programmes from DG GROW and KET’s from DG RTD and support regional growth via S3 strategies. With two photonic/KET clusters and two industrial applications/ integrator clusters PIMAP can provide the foundations for both European inter cluster and international cooperation actions. SMEs will play an active part in designing and testing the strategy and sharing their experiences with SMEs from other clusters. Two third country targets have been identified (USA and Canada) and will provide the test bed for the strategy and proposed roadmap. SMEs will participate in all stages (awareness raising, learning, testing and implementation) to ensure PIMAP is market oriented. Partners expect to involve upwards of 900 SMEs in these actions. The partners are committed to devising an internationalisation strategy with a roadmap to guide the implementation process and will propose branding and a legal framework to bind the partners together. The project will deliver synergies with other initiatives such as Vanguard and has strong support from regional policy makers (ERDF, Interreg funding). These links will facilitate the scope for sustainability actions to succeed.